2. We bought our first house! 1. I nearly went crazy preparing for a big event, going back & forth KL & JB almost every week! 1. 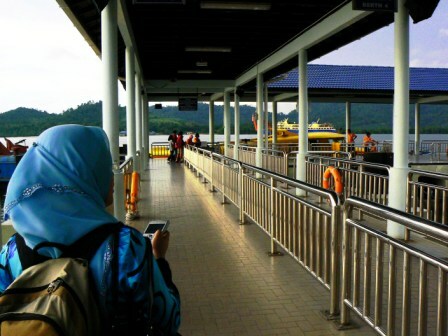 Despite my busy-ness, we went for an unplanned trip to Pulau Pangkor. Fantastic! Will definitely go there again. 1. We rescued a cute little kitten from the drain, later named 'Rio' a.k.a. Mr Smelly! 2. Rio went MIA! Huaargh!! I miss you, smelly kitten! 3. I got a new job with the giant MNC! 4. I tendered my resignation. Bye, bye Mr Trump (but actually, I felt sad to leave). 1. The event took place AT LAST! 2. My last day at my old office. 3. We went to KK for a holiday! 1. I started my new job. 1. Went to Miri for work, visit my sisters & missed my flight back to KL. Typical me. 1. I discovered that I got pregnant... with possibility of twins. 2. I had to be kept at home for 2 weeks and it drove me crazy. 1. I don't remember September that much, because I was too sick. 2. One of the babies did not develop. We're left with only one. 1. We lost the other baby. Al-Fatihah to our little one. 1. I had to attend orientation course for 2 weeks in Bangi! 2. Ainie, Jen & I finally met up again after 2 years! 1. 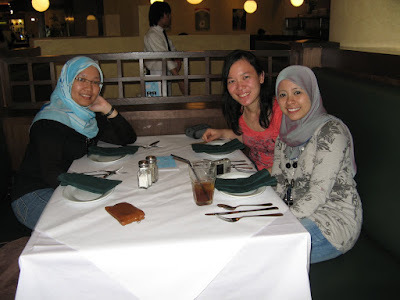 We went to Cameron Highland for our 1st celebration of our 2nd anniversary! 2. We went to Singapore for our 2nd celebration of our 2nd anniversary! 3. Msjbox Holiday is back, this time at Sedili, Johor!